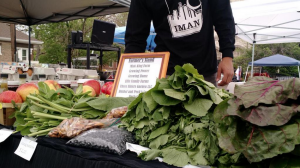 Chicago Lawn residents filed into the inaugural Fresh Beats & Eats Farmers’ Market, as IMAN kicked off its latest effort to increase access to affordably priced, healthy foods in our community. Guests shopped for Michigan-grown apples, freshly baked bean pies, and greens from Englewood’s own Growing Home, and enjoyed organic juices mixed on-site, while North American Superstars put on a live performance. Chicago Lawn lies in the heart of a vast food desert, a community area demonstrating exceptionally low access to nutritious foods like fruits and vegetables. This can lead to disastrous public health conditions. According to recent National Minority Quality Forum research, between 45 and 55 percent of resi dents in one Chicago food desert zip code were suffering from stage 2 chronic kidney disease. Communities inside food deserts often lack both food and healthcare stability. This is why the IMAN Health Clinic distributes vital healthcare information during market hours, while also providing medical service inside our headquarters. Our Fresh Beats & Eats Farmers’ Market is funded by the USDA and offers a dignified, welcoming space for residents to enjoy high-quality, healthy foods, local produce, fair trade products, artisan crafts, and live music. Said IMAN’s Farmers’ Market Administrator, Ammiel Mateen, “We’re really looking forward to this market being a weekly destination for both neighborhood residents and for people across the Chicagoland area.” Make sure to stop by Fresh Beats & Eats on Sundays from 10 am to 2 pm! 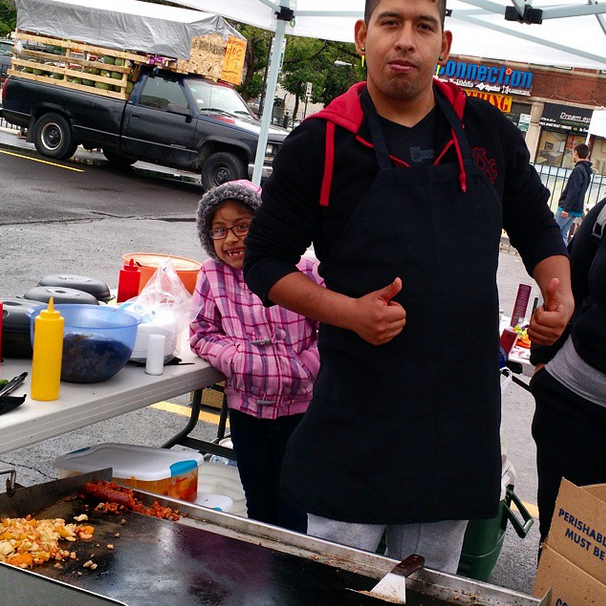 Interested in Volunteering at Fresh Beats & Eats? Join the team today by contacting Dallas Wright for more info. Interested Vendors? If you sell fresh produce, choice meats, desserts, arts, crafts, or want to perform on the Fresh Beats & Eats stage, contact Ammiel Mateen for more info. This entry was posted in Direct Services, News, One Chicago by IMAN Staff. Bookmark the permalink.